Cleaner Brockley is a leading provider of professional end of tenancy and move out cleaning services in Brockley, SE4. Call us for a quote! When your tenancy comes to an end, make sure that you don’t forget about the end of tenancy cleaning. As tedious this procedure seems, its performance is essential for the safe return of your security deposit and also for a trouble-free last meeting with your landlord. When it comes to such kind of sanitation, every property owner needs to know that the tenants will do their job. If you don’t want to upset your landlord, there is another option. Our respected company from Brockley is offering cheap and very effective end of tenancy cleaning services which will make your moving out even easier. All of our employees are very experienced and will know how to disinfect your place in the fastest way. The services which we are offering have been performed for many people in the same situation like you, so this won’t be a new thing for us. We have seen everything and we’ve managed to sanitize in depth real estate properties in very bad condition. Check our prices. As our client, you and your requirements will become a main priority for our team of specialists. Together with the most advanced and efficient equipment, our cleaners will come to your current home and will start the process of the deep disinfection. They will pay attention to every premise of the place, as well as to everything it contains. The dust and the dirt will disappear within a couple of hours and on their place will appear flawless cleanness. We give you our word that by the end of the day you will have the best looking rental real estate property in the entire capital. 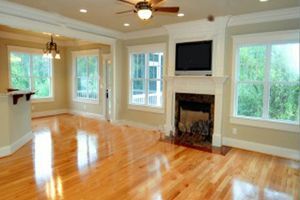 Our professional cleaning company Cleaner Brockley can become your reputable partner in the whole moving out process. We can perform the end of tenancy cleaning perfectly and just on time for the final visit of your landlord. You will only have to come see us in our office or call us there and we will be on our way to your rental real estate property.